The all-new P5R.2 rechargeable flashlight has power and portability in a rechargeable option. The P5R.2 comes with our one-of-a-kind, Floating Charge System for wall-mounted or on-the-go charging. Just pop the flashlight into the magnetic recharging system (no need to mess around with wires or batteries) and store for as long as you like - there's no battery memory. To recharge on the go, the system comes with a USB cord. With an output of up to 270 lumens and the ability to be recharged up to 1000 times, you'll be ready for anything. Tbook.com crawls the web to find the best prices and availability on Flashlights and related Tools and Hardware products like LED Lenser P5R.2 270 Lumen Rechargeable LED Flashlight. For this page, related items include products we find that match the following keywords: "Flashlight" at our vendor partner Home Depot. 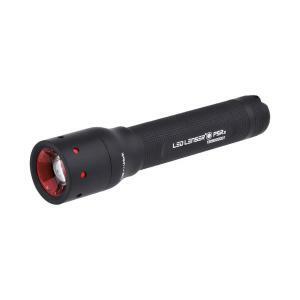 LED Lenser P5R.2 270 Lumen Rechargeable LED Flashlight is one of 152 Flashlights and related products listed in the Tools and Hardware section of Tbook.com If you have any questions on this product, please give us a call at 734-971-1210 during the hours of 9am - 5pm EST for assistance. Thank you for shopping at Tbook.com, the Internet Department Store!